We live in Climactic times. The culmination of billions of lives lived since the Industrial Revolution. The Anthropocene — our current age of technology, machines, and an insatiable need for fuel — has changed the planet and set us on a new path. There is now broad agreement that the consequences of our collective actions are severe. We’re facing an unprecedented future with a destabilised natural world due to rising temperatures. Climactic tells the stories of the people making a difference. Regular people like us, in a daily struggle to live sustainable lives. We want to be the people's voice on climate change, embedded in the community, from the perspective of the actual people. We want to hear these powerful stories. Are you a member of a community environmental group? Do you have knowledge of climate change? A regular person struggling to figure out your role? 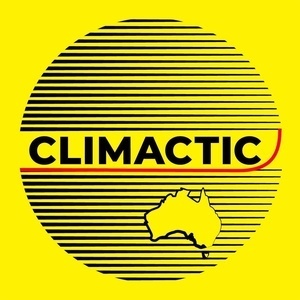 Dugald Holmes — "Unexpected Climate Activist"
In this episode, Mark talks to Dugald Holmes, his great friend and inspiration behind Climactic. Mark Spencer goes one-on-one with Councillor Tim Baxter of Melbourne’s Port Phillip Council. Tim’s passion for the environment and determination to drive through essential policies designed to mitigate against climate change is obvious in this free-wheeling and fascinating chat. Maxine Bazeley — "The Recruiter"
Climactic’s Mark Spencer talks to Maxine Bazeley, of Teal Collective, about her transition from the high-powered lifestyle of a career professional to her new sustainable projects! Introducing a new Australian-based podcast about climate change, sustainable living and caring for our Earth.